It was an eventful evening in France on Sunday, with the socialists celebrating a historic majority taking up to 320 seats in parliament. 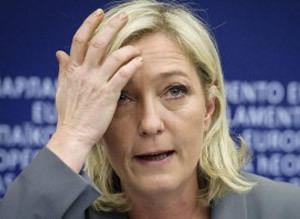 Axelle Lemaire won her northern Europe seat, whilst Francois François Hollande’s ex-partner Ségolène Royal and Marine Le Pen’s parliamentary hopes were dashed. There was debate that in order for Hollande’s socialist programme to be enacted in France, there would need to be a joint coalition of the far left and Greens. The Socialists, however ,won the majority of seats in the national assembly and no pacts at least for the time being will need to be formed. Axelle Lemaire had a stunning victory becoming France’s first MP for northern Europe. The socialist is one of 11 new overseas MPs and Lemaire will represent 100,000 French voters living in the UK. Royal had set her sights, if elected, on becoming the new speaker of the national assembly after her bids to become French president and head of the Socialist party fell through. Falorni picked up a whopping 63 per cent of the vote despite receiving less votes than Royal in the first round. Falorni was asked to step down after the original result but refused to do so. Le Pen was widely expected to win the seat in her home town of Henin Beaumont, especially as the fire brand leftist Jean-Luc Mélenchon conceded defeat last week. However this seat went to the socialist Philippe Kemel. The Front National did celebrate some victory gaining two MPs in a 24-year hiatus including Le Pen’s niece Marion Maréchal-Le Pen, elected as an MP in Carpentras. At the age of 22, this makes her one the youngest ever French MPs. The race for Henin Beaumont is not quite over yet with Le Pen widely expected to challenge the narrow result. France also elected its highest ever number of female MPs at 155, which leapfrogged it from 69th to 34th worldwide for female representation. This article was also published on left foot forward. Are European borders set to close? Who will take control of France’s parliament?